If you’re new to the digital marketing game, then you’ve probably heard the phrases “lead scoring,” “lead generation” and “lead nurturing” passed around a lot, but not really know what these phrases really mean or how they apply to marketing. In this guide we’ll go through the basics of lead scoring, lead generation and lead nurturing to get you started with your own lead scoring ventures. A lead is simply an interested buyer. This is someone who has signed up for your email newsletter, liked your Facebook page or downloaded an ebook from your website. So to put it simply, lead scoring is a ranking method that judges how interested these buyers are in your product or service depending on their online behaviours. 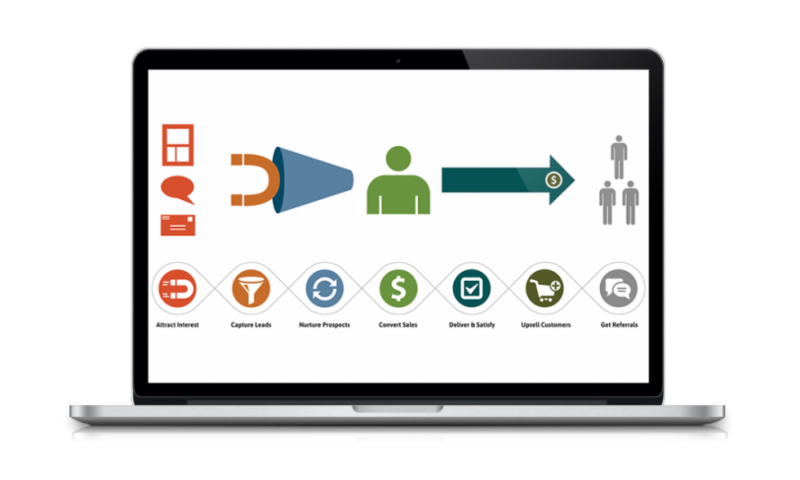 Marketing automation tools – Marketo, Oracle and others – take the data collected, run it against buyer personas and other data and show marketers how likely a certain buyer will purchase from the company. Those most likely to buy are called high quality leads. Using this information, marketers can either continue marketing to that person (lead nurturing) or pass the name to the sales team, who will then contact the person. Hopefully, this results in a sale and the beginning of a good relationship between you and your buyer. Every company approaches lead scoring different, and what you consider a solid lead might not be the same for other companies. Some consider a Facebook like to be a lead, while others target those who sign up for webinars and trade shows. As you begin marketing on different digital platforms, you’ll see which leads are your strongest. How can lead scoring benefit me? Not everyone who signs up for a newsletter or visits your website is actually interested in buying from you. They might have read one of your blog posts for more information, or maybe a friend directed them to your sites. Lead scoring helps you avoid targeting these leads and directs your attention towards leads who are most likely to make a purchase. Your sales team also doesn’t have time to mess around with lukewarm prospects. They’d make much better use of their time if they were speaking with people already looking to buy from you. It’s the marketer’s job to get the sales person the best leads possible so as to make the sales process good quicker and smoother. Because the leads going to the sales team are much more inclined to buy, your conversion rate – the percentage rate that leads change to sales – goes up. A higher conversion rate leads to a happier company all around. Lead scoring also gets the marketing and sales teams on the same page when it comes to prospective buyers. If marketing thinks one lead is strong and the sales team disagrees, then it will be much harder for your sales team to close deals and make sales. They need the most qualified leads possible, and if they’re wasting their time on people who just aren’t interested, then they may not be able to make as many sales that month. As the marketing and sales team do have one common goal, lead scoring opens a dialogue between the two parties and helps them understand one another better. How do lead scoring and lead generation relate? So we know what lead scoring is – the ranking of prospective buyers from least likely to most likely to buy. Now that’s look at lead generation and how it relates to lead scoring. Lead generation is the process through which casual website visitors become actual sales prospects that can be ranked using lead scoring. Person visits your website and wanders around. Person clicks on a call-to-action on one of your site’s pages or on a blog post and is directed to a landing page. The landing page prompts the person to fill out their information – name, email address and other important demographic information. Person submits the form and the site automatically directs the new lead to a “thank you” page. This is one of the more common forms of lead generation, but there are hundreds of potential lead generation processes. It all depends on what your audience is like and what online channel they prefer to follow to your website. Lead generation is always changing and what once generated great leads for you last month might not be so effective this month. Can a regular lead become a high quality lead? Yes, likes on Facebook and other minor customer online interactions can become high quality leads through lead nurturing. According to Marketo, approximately half of all leads are not yet ready to buy, which is why they need to be nurtured. This process involves continually marketing to a lead in the hopes of turning the lead into a high quality lead. Afterwards, marketers can pass the lead on to their sales team. The goal of lead nurturing is to build a solid relationship with potential buyers. That means providing quality information through blogs and social media and creating gated content that entices buyers enough to download it by giving you their email addresses. As buyers interact more regularly with your company, they will become more substantial leads. A potential buyer visits your website and fills out a sign-up form for an e-newsletter (lead generation). Your lead scoring software evaluates the lead and tells your marketing team how likely that prospect is to buy from you, labeling the prospect either a lead or a high quality lead. Regular leads require lead nurturing, which can mean regular e-newsletters and social media updates, to eventually get them to the high quality lead status. High quality leads are then passed to the sales team who make contact with the lead and take the sales process from there. Of course, knowing the process is only step one. Generating leads takes time and effort, and once you have leads, you need to be able to successfully nurture them so that when your sales team makes contact, there is very little for them to do to close the sale. This article is a guest post from Mike Bird.